Create and manage your shipments with advanced features. New modules are added daily. 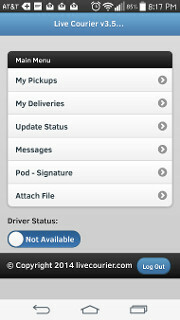 Live Courier includes smart phone interface for your messengers and drivers. Drivers can also transfer packages to other drivers / messengers. Compatible with Android, IOS, Blackberry and Microsoft devices. No additional equipment required. 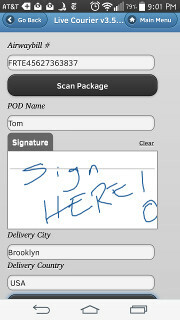 You can easily communicate with your drivers from the phone interface. You can send them messages, pickup and delivery locations. 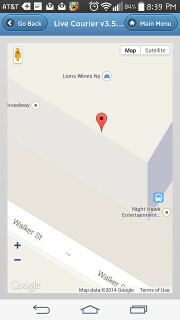 The app can also create the best route based on the locations.